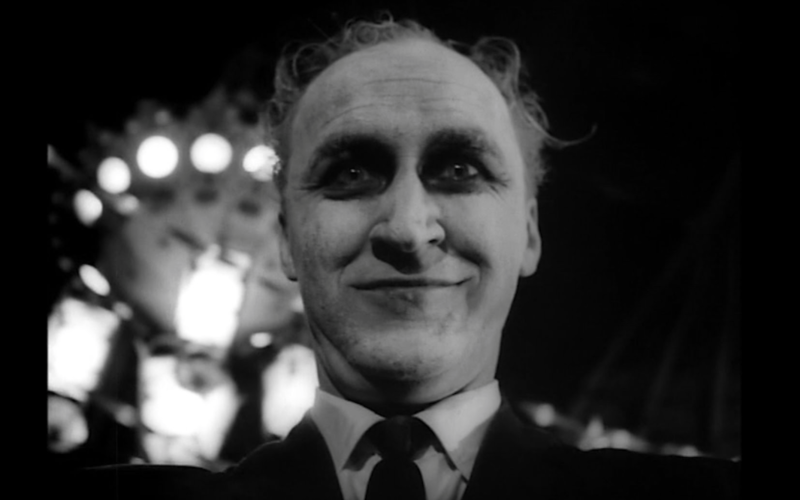 Going into Shocktober, Carnival of Souls was my most anticipated film. Mainly because I was enamored with the backstory of the film. Herk Harvey was an average director/producer on industrial/educational films in the ’60s, until one day he drove by the abandoned Saltair Pavillon in Salt Lake City and was inspired. He pulled together every resource he had, raised $17,000 himself, was deferred another $13,000, took three weeks off of work and shot a movie in and around Kansas and Utah. It’s Inspiring not just because of how Harvey made this film, but because of the kind of film he wanted to make. Carnival of Souls isn’t a “Jump-out-of-your-seat and say BOO!” movie. Nor is it a rubber suit monster movie. It’s a psychological drama about the thin line between life and death, and even though it doesn’t always work it’s admirable in the best way. The film begins with a group of young women in their car challenged by a car of guys to drag race–in a flirty way, not a Fast and Furious way. I have no idea what they say to convince them of participating though because the audio is so terrible in this scene it’s indecipherable. I was worried the whole film was like this but thankfully audio issues are less prevalent later in the film. The two cars drag across a rickety bridge and the women’s car veers off crashing into the water. The car sinks, cue title card, and a rescue team arrives. 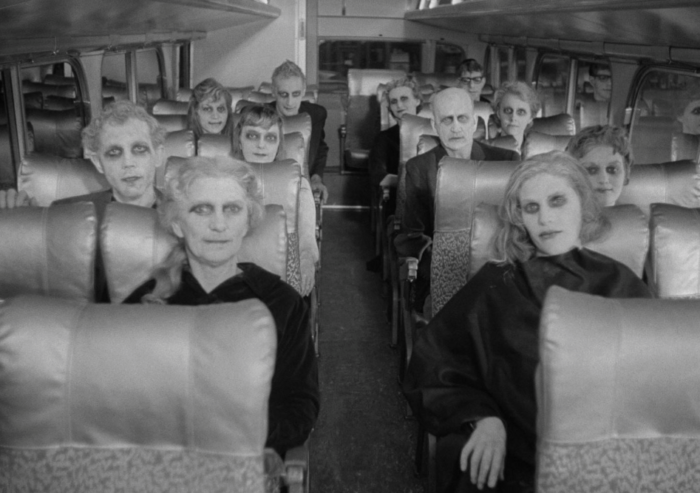 Three hours later, Mary (Candace Hilligoss) is the only passenger to emerge and can’t remember how she survived. Ready for a fresh start, Mary leaves her hometown to become a church organist in Utah. It’s a profession that adds plenty of welcomed, spooky church organ themes to the soundtrack. Along the way, Mary sees a ghoulish specter in her car window. This figure is known only in the credits as “The Man” and is played by the film’s director, Herk Harvey, in pasty white makeup. Not gonna lie, his presence is pretty unsettling. Mary rents a room and becomes acquainted with various townspeople—of various acting talent—but has trouble being herself. Haunted by her accident and the recurring “Man” stalking her, Mary slowly loses her grip on her sanity. A great deal of the film’s run-time is devoted to Mary making mundane small talk with priests, hotel owners, jerks in bars, nothing particularly entertaining. The Man though, and later other ghouls, provide the film with an unsettling undertone.You’re never quite sure when the Man is going to rear his ugly head, what he represents or what he wants. There’s a lot of filler in this film, but thanks to the film’s knockout ending, I left feeling satisfied. After the ghouls finally catch up with Mary, they drag her way to a carousel—cuz carnivals—and swarm Mary. We cut to the original body of water where Mary’s car crashed with the vehicle being towed out only to reveal… Mary’s body inside. Was it all a dream? Was Mary occupying a sort of limbo? 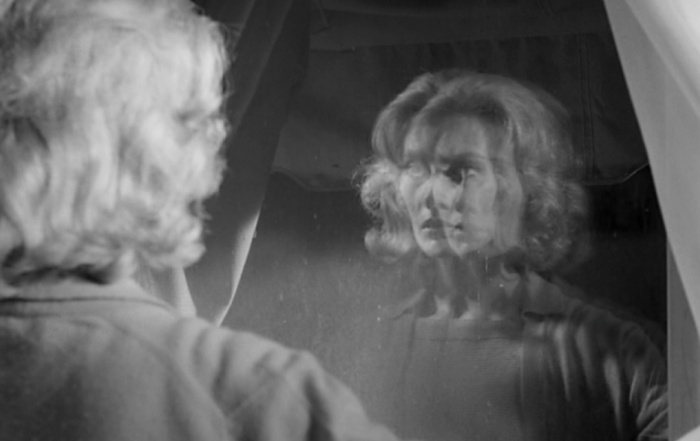 Ita open-ended twist gives the film a classic Twilight Zone vibe. If only it was about 40 minutes shorter. 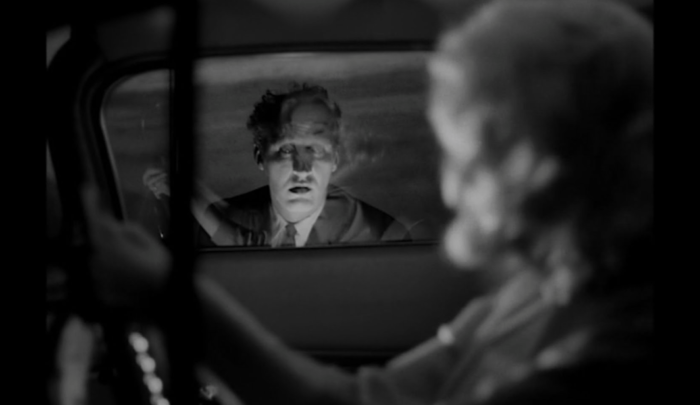 Carnival of Souls suffers from technical issues, but it has moxie. I’m always impressed by smaller films that eek their way into the Criterion Collection. It just goes to show you don’t need a big studio or big connections. As long as you are determined and have a story to tell you will be remembered for years to come. That’ll do Herk. That’ll do. Spooky selfie. I wonder if he’s wearing pants. There’s the real horror movie.